Hybrid Team Patch Shadow Skull with US Flag overlay. Continuing on with the Hybrid Patches we have added the popular Shadow Skull to the line up. 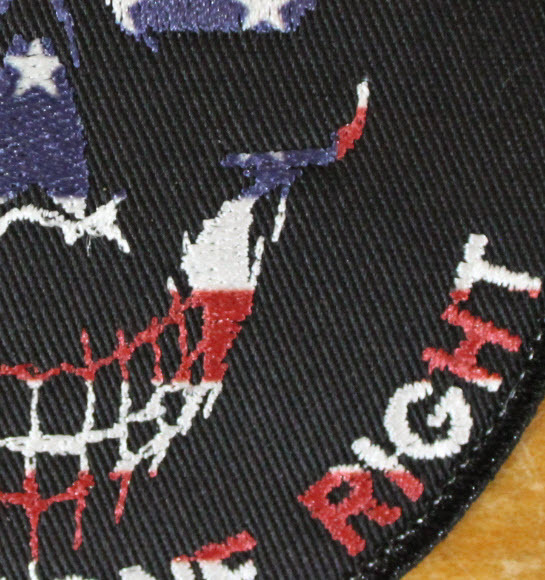 This hybrid patch has the us flag overlaid on top of our shadow skull giving him an evil yet patriotic look. Hybrid Team Patch Shadow Skull is even more impressive with the bright colors intertwined with the the evil design. It is available on Black background only. What could be more simple? Just choose your own text and click that add to cart button. Let us handle the rest.